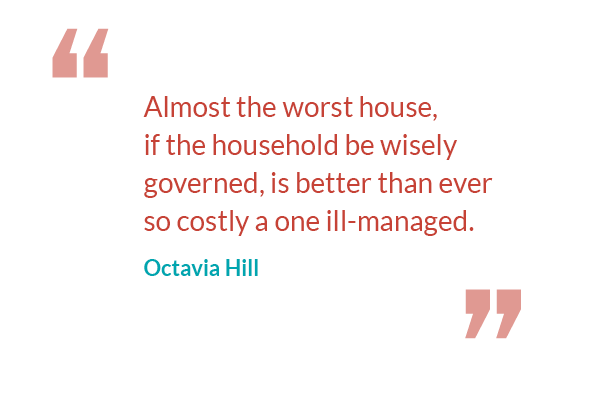 Octavia Hill was an English social reformer in the second half of the nineteenth century. 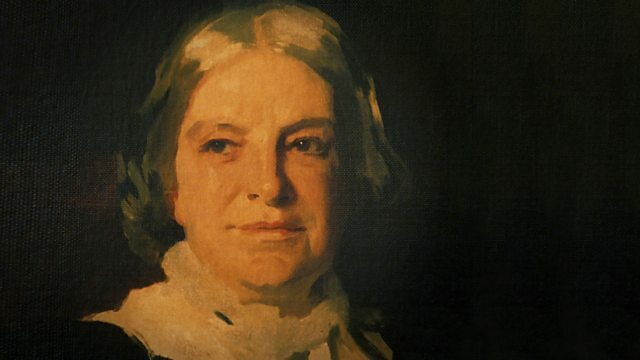 The work of Octavia Hill is still recognised today, as it was during her lifetime some 130 years ago. As highlighted by CIVITAS, "her ideas can be found at the heart of most of today’s social policy pre-occupations". Born into a family with a strong commitment to alleviating poverty, she herself grew up in straitened circumstances owing to the financial failure of her father. With no formal schooling, she worked from the age of 14 for the welfare of working people. During her lifetime, her work was so important that she was one of only three women to be invited (in their own right) to attend the Golden Jubilee ceremony in 1887, held for Queen Victoria at Westminster Abbey. The other women invited were Florence Nightingale and Josephine Butler. Octavia Hill was born in Wisbech, Cambridgeshire in 1838 and was the eigth daughter of James Hill, a prosperous corn merchant and former banker. James was a follower of Robert Owen; he established the town’s first newspaper, “The Star in the East”, to propagate Robert Owens’ utopian ideas. It was dedicated to telling “The Truth, the whole Truth and nothing but the Truth”. It attacked corruption and self-interest groups. 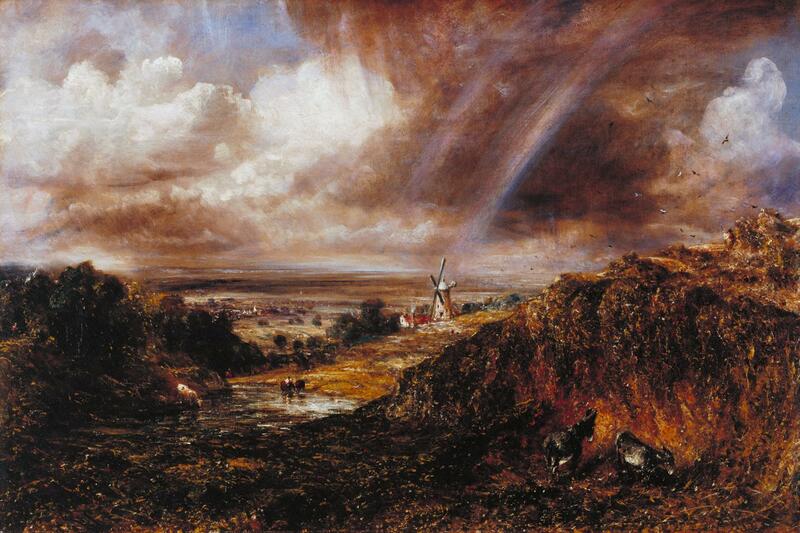 This practice of "Owenism" grew out of the poverty in Britain, brought about by the Napoleonic Wars and introduced the concept of "utopian communities" in both Britain and later in the United States. James built an Infant School in Wisbech, now the Angles Theatre, run by his third wife and mother to Octavia Hill, Caroline. According to Octavia, she was the first Englishwoman to teach using the methods of Johann Pestalozzi which were revolutionary for the time, with specific principles of "training the whole person" and "sympathetic way of dealing with students". Some 5 decades after his death, Pestalozzi's teching principles were used in the education of Albert Einstein, who later in life was quoted in reference to the education technique as saying that "it made me clearly realize how much superior an education based on free action and personal responsibility is to one relying on outward authority." The same principles are acknowledged as having contributed to the erradication of illiteracy in Switzerland by 1830. By 1840, James Hill was bankrupt; he later suffered “a temporary fit of insanity”. The family left Wisbech and Caroline brought up her children alone in Finchley, London. Octavia learned her lifelong love of the countryside from these childhood days, “leaping ditches and climbing trees”. In 1864, John Ruskin, at Octavia’s persuasion, purchased three houses in Paradise Place. He gave them to Octavia Hill to manage. The aim was to make “lives noble, homes happy and family life good” in this, one of the most notorious London slums, known as “Little Hell”. In 1875, a group of fields, known then as Swiss Cottage Common were to be developed on. A district to the Parish of Hampstead they were named after The Swiss Tavern (est 1804). Octavia sought to oppose the development of the common and appealed for funds to purchase the fields. However, thanks to the Finchley Road Act of 1826, which authorised the construction of Finchley New Road and Avenue Road, the fields offered a prime location. Consequently, her bid was unsucessful and Swiss Cottage, as we know it today was born. Octavia Hill was the driving force and Treasurer of the influential Kyrle Society. Initially founded as the Society for the Diffusion of Beauty in 1876 by her sister, Miranda, it was renamed after the philanthropist John Kyrle in 1877. The Kyrle Society, formed to “Bring Beauty Home to the People” and supported by William Morris among others, was forerunner of all today’s civic societies including The Wisbech Society and Preservation Trust. At the time that the Kyrle Society was formed, Octavia joined the Commons Preservation Society and it was there that she met Robert Hunter, honorary secretary of the CPS. In 1885, Octavia Hill, Robert Hunter and Hardwicke Rawnsley (who collected rents for Octavia Hill as a young man) worked together to raise public awareness of the railway developments threatening the Lake District. In 1886 she worked again with Canon Hardwicke Rawnsley and the Lake District Defence Society over various infringements of rights of way by landowners. Rawnsley recognised the potential benefit of a Holding Trust that could be vested the ownership of any threatened land or building. In recognising that the CPS could not pursue such a course of action, a seperate trust was required. Octavia Hill, Robert Hunter and Hardwicke Rawnsley met at a meeting hosted by the Duke of Westminster. As a result, The National Trust was formed in 1894 and registered in 1895, a conservation organisation in England, Wales and Northern Ireland, and the largest membership organisation in the United Kingdom. The trust describes itself as "a charity that works to preserve and protect historic places and spaces—for ever, for everyone". 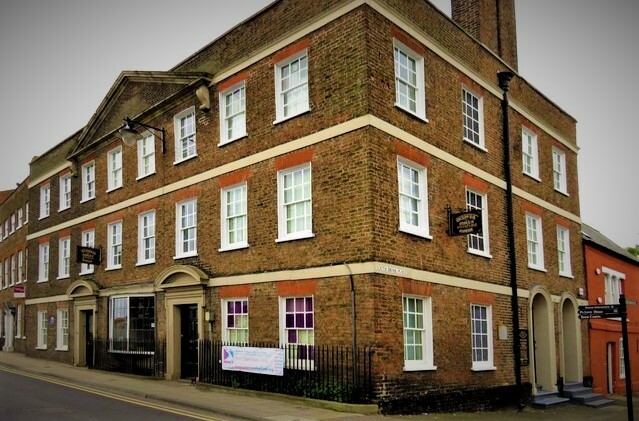 Octavia Hill’s Birthplace House is located on the South Brink, Wisbech. It is a fine Grade II* listed Georgian building. In 1994, the Octavia Hill Birthplace Museum Trust purchased part of the house, opening a museum that is entirely run by volunteers. In 2007, the Trust purchased the rest of Octavia Hill’s Birthplace House. 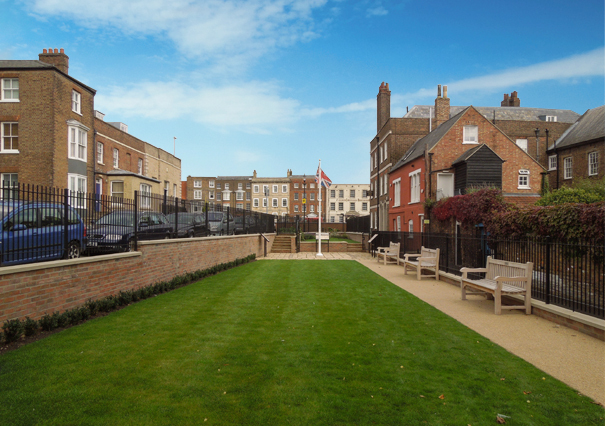 Next to the house and small garden is Centenary Green, a small urban open space where one can see information boards, provided by Wisbech Society giving the interesting details of this historic area of Wisbech. Find out more about Octavia Hill and when you visit by clicking here.